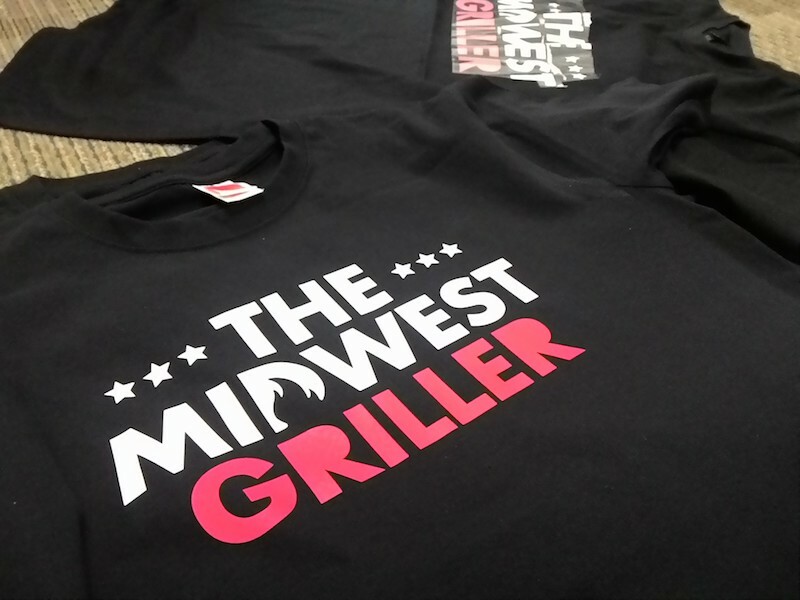 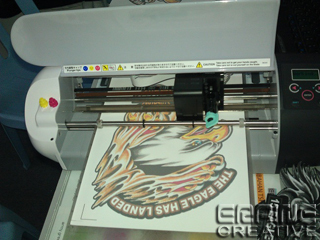 Heat transfer printing is another popular way to print on clothes, especially on t-shirts. Unlike Screen Printing, where a large quantity of clothes are needed to be cost-effective, we can do heat transfer printing as low as 10 pieces of clothes. 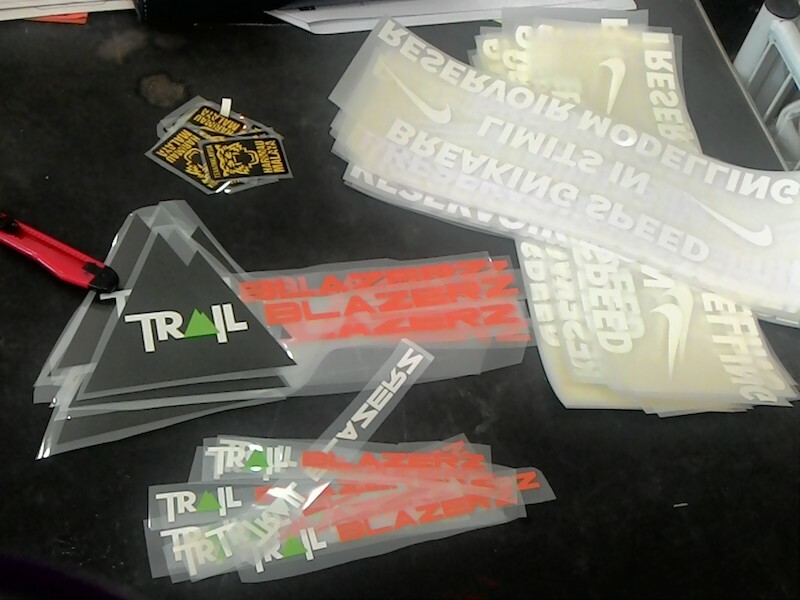 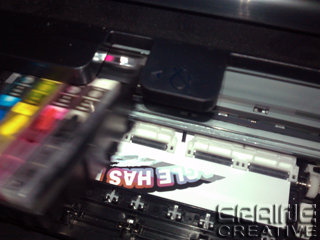 The process is easier as it does not require any printing block. 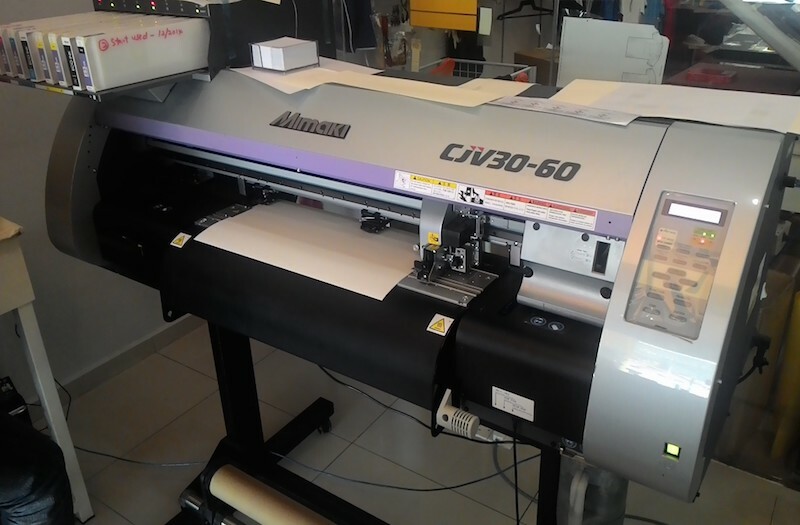 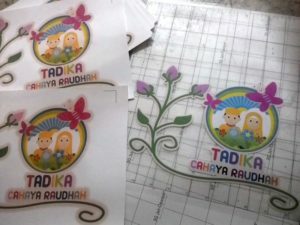 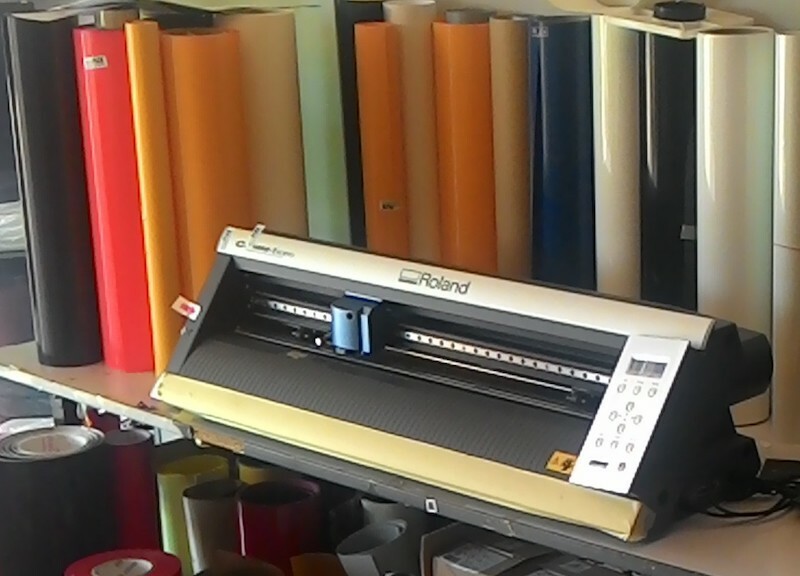 We use a special printer that uses waterproof ink, a heat transfer paper, a cutting plotter machine, and a heat press machine. 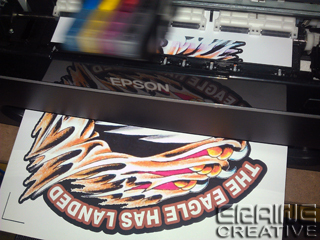 The printing process begins from the design where a high resolution image is required. 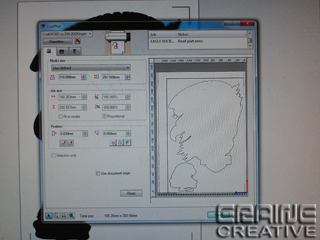 This is important so that resizing the image will not make it becomes pixelated and jagged. The image will be clipped (if necessary), its colours will be tuned to suit the colour of the clothes, and a cutting line will be drawn around the image. 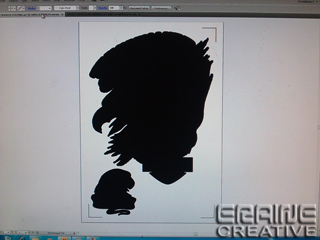 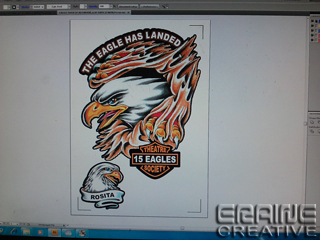 The image will then be printed on a heat transfer paper using waterproof ink inkjet printer. 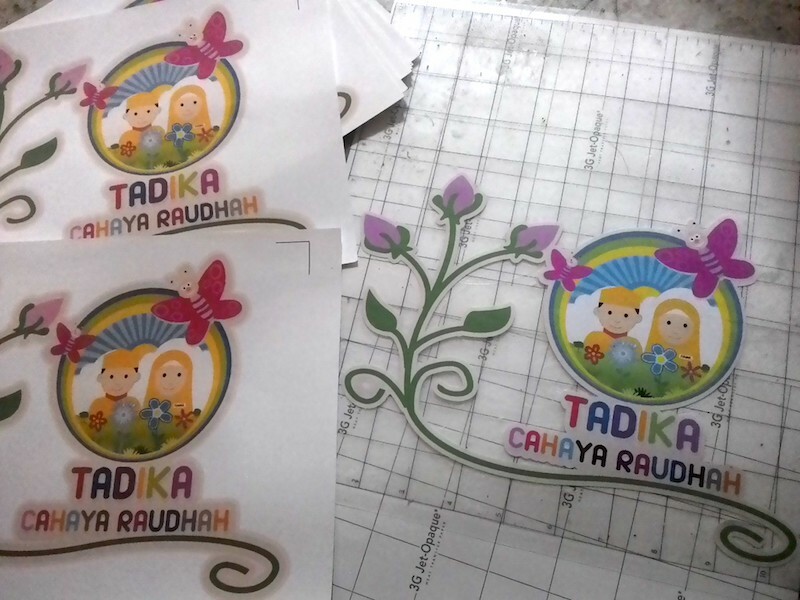 The next step is to trim the transfer paper according to the cutting line made earlier. 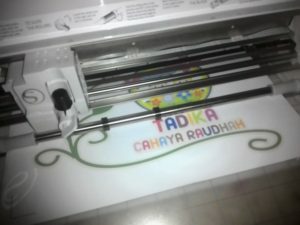 For this purpose, a cutting plotter machine is used. 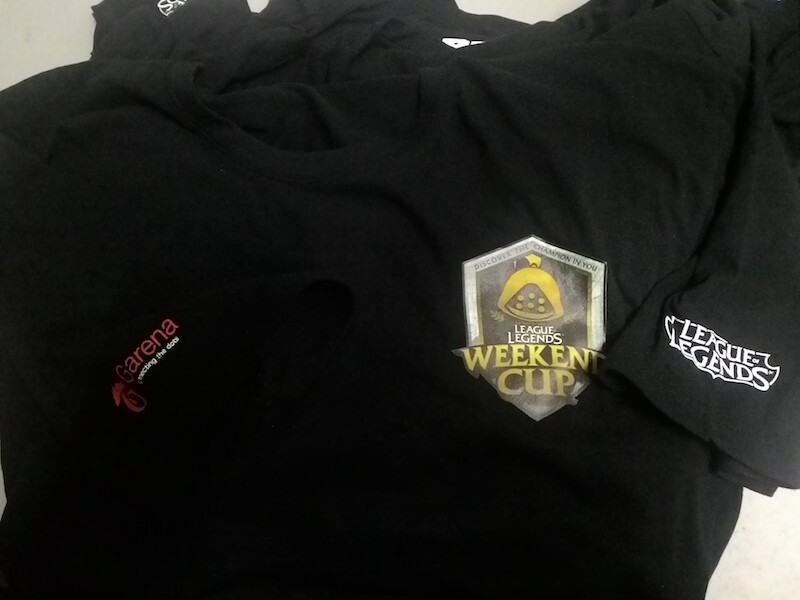 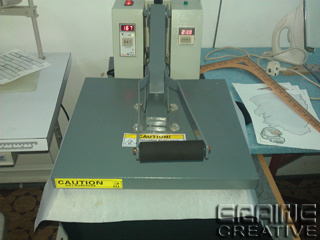 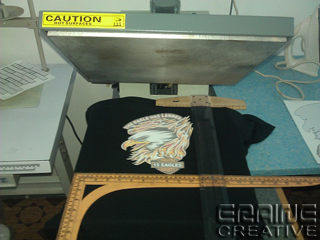 The final step is to use heat press machine to transfer the design on the paper to the t-shirt.